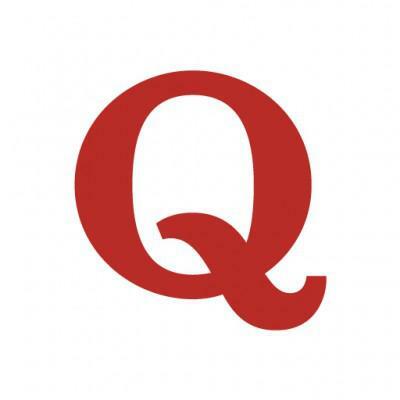 SaaStr-on-Quora just passed 12,000,000 total views, growing about 10% every 20 days. There’s a lot of content there not on SaaStr.com. To catch you up, if you’re interested … the most popular since 11m views are listed and linked to below. Can you make over $1 million a year only by being an entrepreneur or a C-Suite executive? What makes Stewart Butterfield of Slack such a great founder? Can you sell something that people don’t need? How do you get invited to become a junior partner at a venture capital firm on Sand Hill Road in Menlo Park? What is a reasonable percentage of a startup if it was my idea and I’m paying for everything? Does a SaaS CEO need a mentor when (s)he can follow Jason Lemkin on Quora? I heard a rumor that Palantir is having an extremely high turnover right now. Is that true? Do VCs work with startups that need less than 500K? What should startups take away from the highly visible shutdowns of companies like Homejoy and Zirtual? What are some of the pitfalls that go along with selling your product overseas? Is it fair to say that both the CEO and existing investors in Zirtual failed to manage the company’s financials and fundraising work? Most tech companies are only interested in 20 something’s to employ. What now for 40 something’s? Why are companies such as Uber, Airbnb, Snapchat, Dropbox, etc. still called startups? What is the best way to join a micro VC firm as a partner? What are some of the oddest employee perks in Silicon Valley? Will using a Windows PC as opposed to a Mac in a pitch in Silicon Valley disadvantage me? What are industry-standard terms for liquidity for founder or employee loans? What should I do if I want to be a partner at a venture capital fund in 7 years? How do VC’s monitor their investments financial performance? And how often? Why are Australian venture firms so low risk? A potential acquirer of one of my portfolio companies is proposing an extended (6 week) tech DD period. How do I convince them that this is unreasonable? How many hours/week do you work as a director, VP, CXO, or CEO? Why do software engineers make so much? What is the best approach to associate with great people in our life? How many of the world’s top 100 billionaires really invented something new like Bill Gates did with Microsoft? What is the best response to “not making investment in that space at this time” from a VC firm? In terms of direct numbers, what can be considered a great financial upside (for investors) for a startup after 2-3 years of the first seed round? What is the typical expected ROI for a Series D, and what is the typical investment: valuation ratio? Do employers ever give signing bonuses to let employees exercise stock? Which Bay Area VCs work during August? Can I still get into SaaS sales without a degree? What is it like to be a partner at a venture capital firm? How do founders pay their bills after they quit their full time jobs but are still seeking for investment in their startups? Is the venture capital industry in Silicon Valley efficient? Can an angel investor ask for a finder’s fee for brokering a VC deal? Why isn’t GitHub’s valuation higher than $2B? Should VCs be banned from placing valuations on the startups they invest in? What do most people not know about startup sales? How is retention defined in a freemium business? How many investors should you meet in order to raise an investment? Why is Ferrari going public? What are some status symbols in Silicon Valley? A high quality venture is having trouble raising funds because venture capital is burned by the failure of a similar company. Is lowering the valuation and advertising a depressed price to VCs smart? Do you give up a board seat during a seed round? Corporations: Have you ever cold emailed the CEO of a big company? What are considered attractive month over month growth rates in terms of revenue, sign ups, or activities for SaaS companies in 2015? How important is it for an angel investor to diversify their portfolio? I have a meeting with a pretty prominent VC firm next week, and the nerves are starting to set in. What information should I be ready to present? What’s the right ratio for total cost of a sales person to their contribution margin? What are some characteristics of a bad VC or an angel investor? How might an investor be bad for a startup? Why do VCs share information and collude rather than compete with each other? Homejoy Shuts Down (July 2015): What did investors get wrong about HomeJoy? The startup I work for has revenues of $25 million growing ~30% YOY but is still not profitable. It’s been in business for almost 10 years now. How do you see this? How much money are startups in Silicon Valley generally making?